Though many of the key matches were known coming out of the New Japan Cup finals, NJPW revealed the full card for Sakura Genesis on Tuesday morning. 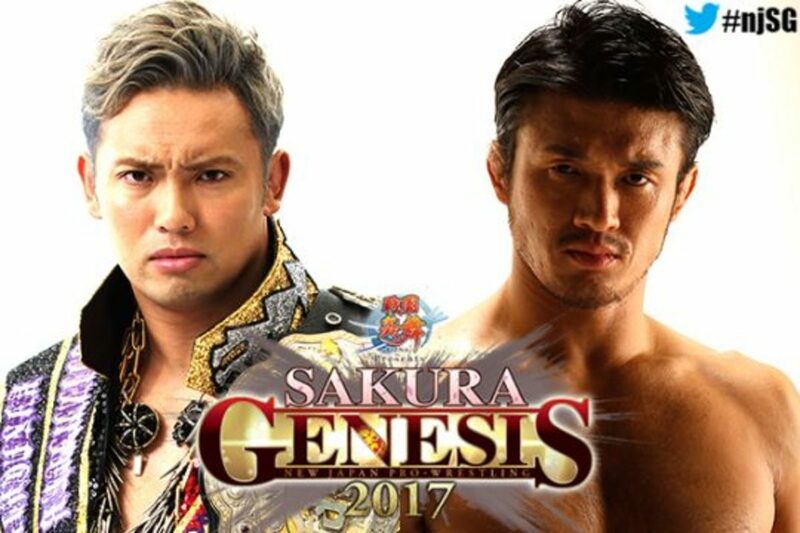 The show will be headlined by Kazuchika Okada defending the IWGP Heavyweight Championship against Katsuyori Shibata. That match was decided after Shibata won the 2017 New Japan Cup by defeating Bad Luck Fale in the finals and then challenged Okada. In the other title matches, Hiromu Takahashi will defend the IWGP Junior Heavyweight Championship against KUSHIDA, Zack Sabre Jr. will challenge Hirooki Goto for the NEVER title, Hiroyoshi Tenzan & Satoshi Kojima will put their tag titles on the line against War Machine, and Yoshinobu Kanemaru & Taichi will defend theirs against Gedo & Jado. NEVER Openweight Champion Hirooki Goto defending against Zack Sabre Jr.